The 2019 Famine Walk will take place on Saturday 18th May in Louisburgh. The registration will take place at 12.45 pm in the Town Hall followed by the opening ceremony, which will last approximately 20-25 minutes. Shuttle buses will bring walkers to the starting point at Delphi. Walkers should walk on the left-hand side and along the way near the lake tea and coffee are available. Toilets are located at halfway. Shuttle cars will bring back walkers to Louisburgh if they need. The event is organised by Action From Ireland. The First Famine Walk was organised in 1988 as a reminder of the ‘Doolough Tragedy’, one of the blackest events in Irish history occurred on 31st March 1849 during the Great Famine. 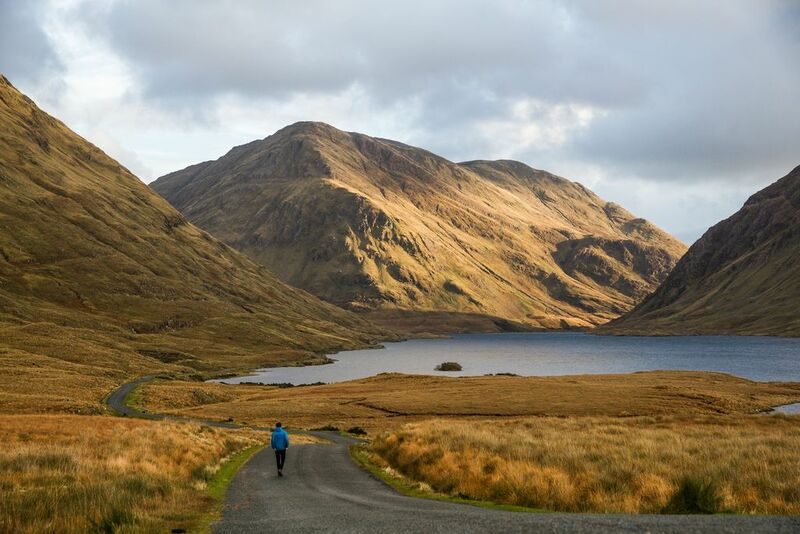 The walk retraces the journey many starving people were forced to make through the Doolough Valley to attend an inspection and get famine relief. For some reasons the inspection was not made and the hundreds of people were told to appear at Delphi Lodge. They walked the eleven miles way in cold and wintry conditions, but, when they got to Delphi Lodge, they were refused either food or tickets of admission to the workhouse. On the journey back home more than 400 people died. The walk is one of solidarity and remembrance and includes music, reflections and finished with ceol agus craic in a local pub.